In the spirits world, there are master blenders and then there is Yann Fillioux, who has been with cognac powerhouse Hennessy for 50 years. On his first day of work (3 October 1966) he was just 19 years old. A seventh-generation Hennessy blender, Fillioux has tasted cognac nearly every day of his professional life and he's responsible for two of the world's most coveted liquids, the Richard Hennessy and Paradis Imperial, which retail for thousands of dollars each. 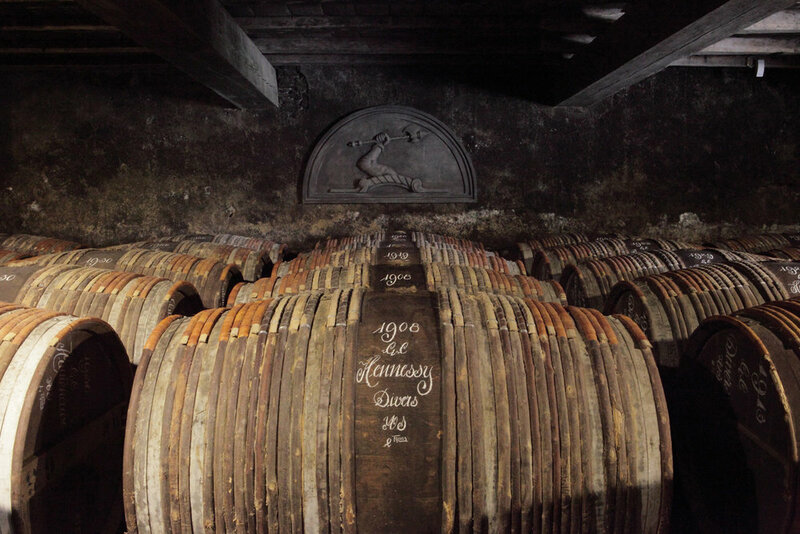 In cognac, time is measured in eras and decades. Fillioux is singularly emblematic of cognac's past but also its future, since the direction he gives sets the tone for the cognacs of future generations. On 1 July, Fillioux stepped down as Hennessy's master blender. His nephew, Renaud Fillioux du Gironde takes his place. We spoke with the Fillioux at Hennessy’s headquarters to discuss his decades of work and how to properly taste cognac. It’s a long time ago… Nevertheless, I remember. October 3, 1966. I joined Hennessy to work with my uncle, he was the son of my grandfather. If you work [with] eau de vie, you have 10 years to learn how to taste. Once you have made your 10 years, it's life. Your life is programmed to be linked with quality and tasting. So when you start, it’s a decision for your life. Almost like joining the priesthood? 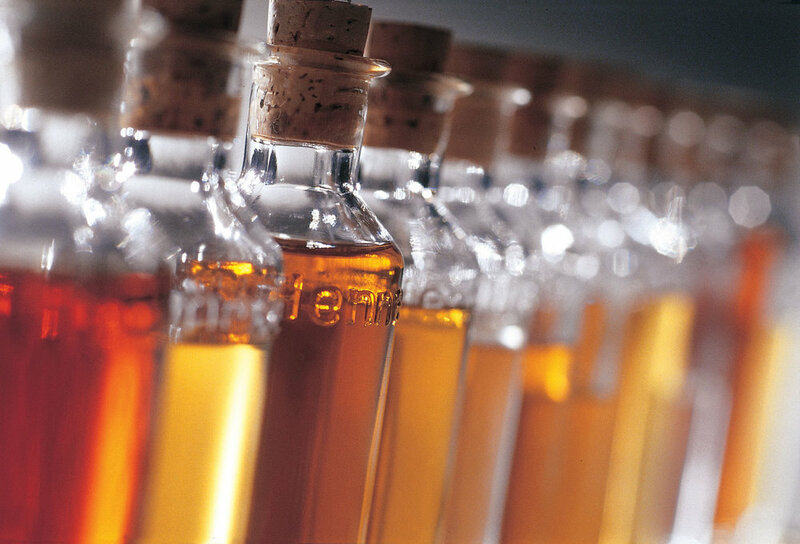 Cognac is measured in eras and decades. In many ways, you and your work represent both. There are not many people who have the same number of decades and have a sort of reference in cognac and Hennessy. So how do you pass on that knowledge in the best possible way? Everything is about tasting. Quality is based on tasting. I learned how to taste with my uncle in the tasting committee. I started learning 50 years ago. This year, two new tasters have joined the tasting committee to be prepared within 10 years. How do you teach tasting? You listen and try to understand what people are talking about. The thing is, to taste and to know how to taste with efficiency—it takes a few months. You have not to take too much [eau de vie] and not to take too few. You have to spit very quickly. Why it requires 10 years is organizing your memory. When you taste, you perceive things and you have to connect it with what you have in mind. You have to organize that memory. If it's good, you have to try to put it on one shelf [in your memory], where it's good. When there is a problem, you have to make another shelf. Why does it take 10 years? Because of the normal time required to organize your memory. In the perfume world, a nose has told me that it requires 10 years for a nose to organize his memory. Can you describe a tasting committee session? We are always in that same room with the same people. Everything is the same. We will normally have 50 samples. Those samples may vary from one period of the year to another. This morning, for example, it was more new cognacs and less aged cognacs. At some other points of the year, it was exclusively aged cognacs. It depends. We'll discuss the sample. I've got the book in front of me and I'll write the final judgement for that particular cognac. Some cognacs have great potential. Some have small potential. Others have no potential, so we don't buy them. We have to be extremely careful with very high-potential cognacs in order to use extremely little wood, in order not to hide the very exceptional character behind the oak. How do you innovate within a heritage product? One of the most important, and not the easiest part of my job, is consistency of quality. All cognacs are more or less different. Each year they are different. More rain, more dryness. All cognacs are different but I have to make a V.S. that is always the same. Consistency of quality. Each time you drink Hennessy, you must get the same experience. What's different now since 1966? I think crops are more regular because we know better how to protect the crops. The quality of the average, standard basic cognac is better because we know how to say, "This one is not good enough." I say V.S. has never been as good as it is today. Where is in cognac demand increasing now? In the United States. The US is the place where things are really changing the most. Previously, China has been increasing a lot. A few years before, Japan in the 1990s. Where would you like to grow? We appreciate [that demand is] strong. But the thing is, we cannot send more than we have produced. If you want to sell more, you have to prepare the future. What did you tell your nephew and incoming master blender Renaud Fillioux du Gironde? He has been tasting with the committee since 14 years ago. He’s a really good taster. He knows a lot about vineyards. He knows the growers better than I do. He was chosen by Hennessy, not by me. It’s not a questions of princes, of kings. [laughs] He has the profile and the talent to become a real master blender. I’ve prepared the future for him.